Teseq offers high end single and multifunctional solutions for simulating Dips, Interrupts and Variations according to IEC/EN 61000-4-11 and IEC/EN 61000-4-29 standards. 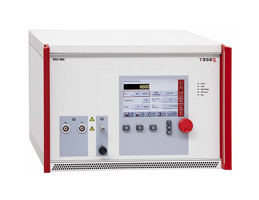 The Teseq NSG series generators can be used for single phase Dips Interrupts & Variations testing up to 270 V/16 A. Teseq offers an extensive range of pulsed immunity generators as well as coupling networks, antennas, variacs and accessories to ensure that interference phenomena can be safely and reliably reproduced. The window based software provided with the product simplifies testing procedures and generate test reports.